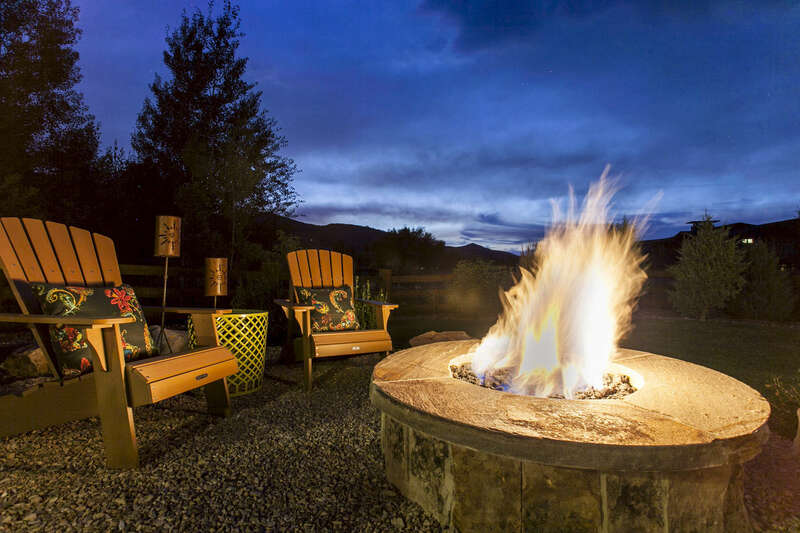 "I chose UHB as my contractor to build my personal home when I moved to Park City. At the time I was a construction loan officer for Zion's Bank and had seen UHB consistently manage projects on time and within budget. When we began the construction process we ran into some issues with excavation, the lot had fill dirt, and the home had to be re-engineered. The costs overruns could have been exorbitant; however, Jeff was instrumental in working out a solution to complete the home while watching the budget. I would recommend UHB to anyone looking for a competent contractor." "When you hear the name UHB on a project, it’s not just name, but it is a symbol that stands for honesty, integrity & impeccable quality. I can personally make this statement because of the 8 year business and personal relationship my family has had with UHB, its owners and employees. We first met Jeff Peterson after an exhaustive search for a builder in 2004. I interviewed 5 different builders. All were reputable in and around Park City. When I called UHB, I spoke directly with Jeff and he came out to personally meet us. The service showed to our family on day one has continued to this date. We eventually chose UHB because we felt like we could trust that they were in our corner for this large project. Since that time we have built another home with UHB and between the two they have valued well over 4.5 million dollars. Looking back, both homes came in under budget and both were completed on time. We never once felt that we weren't getting exactly what we wanted and were promised. If it wasn't right, Jeff and his supervisors made it right immediately. They really do stand behind their work. The quality is the highest you can find. UHB has made me a true believer that there are still great companies with integrity that get the job done right the first time. They took care of us and did not throw any last minute charges or fees on the customer unless we changed the plan or the scope of the work. The price was the price and UHB stands behind it. They have a great reputation in and around Park City, and other areas in Utah. In the future, we may build again for a third time. If this happens, we will use UHB again! Yeah they are that good". "I would like to express my views on the work that Jeff Peterson and his company Utah Homebuilders did for me and my family on my house in Park City, Utah. I had a major renovation projects that I planned for my house in Park City several years ago. Since I had had a number of experiences in different houses with house construction and renovation (some good and some bad), I approached the hiring of a contractor for this major project with great care. I got bids and then met with four contractors who had been recommended to me. While the price was of major importance, I have learned through experience that at least equally important is having someone who is trustworthy, reliable and a craftsman who takes pride in the work. While Jeff’s bid was very competitive it was not the lowest. After meeting with Jeff and seeing how he approached his work—and seeing examples of his work—I was impressed. I find that talking to people who work with a contractor is very important. I therefore took the time to speak to at least six people who had worked with Jeff and Utah Homebuilders in the past. Their reviews and praise were important to me. I now find myself saying the same nice things. The recommendations I received from those past customers of Utah Homebuilders and the way Jeff worked with me to structure a price and a contract that made sense to me convinced me that he was the right choice. As it turns out, I could not have been more correct in my judgment. While the construction took “a little longer than expected,” the work, and the overall relationship was a fabulous experience. We just love the house as expanded and renovated—it was a major renovation. During planning and construction, issues were spotted in advance and we did not get unexpected change orders except in a few cases when we ripped out dry wall and discovered dangerous electrical problems that pre-existed my purchase of the house. Jeff was reasonable in pricing change orders for that work and for other things I decided I wanted to do after we started. But for the electrical issues, however, we could have done the entire job without a plus change order if I had not changed my mind in a few cases and wanted to have some upgrades. Throughout the process, Jeff and his crew actually became our friends. I recommend Jeff and Utah Home Builders to everyone who seeks recommendations – and even some who don’t. I find myself looking for new things to do at the house because I would like to do more projects with Jeff. I am a very particular person and a person that feels that a person’s word should be enough. I cannot say enough nice things about Jeff and his company. I cannot imagine doing work with anyone else now that I know him. Anyone considering building a house or doing renovations would in my view be lucky to be able to have this company do that work. I should also note that I live in Washington, D.C. for most of the year, so this was done via long distance—all the more remarkable." "Over the past 12 years Utah Home building has been my exclusive builder both commercial and residential. In every building project you know you will encounter hitches and changes. UHB has been very flexible at resolving issues and changes with fairness to the client as their guiding principle. They have been dependable in following up on warranty issues after the build is completed. I am confident recommending UHB."